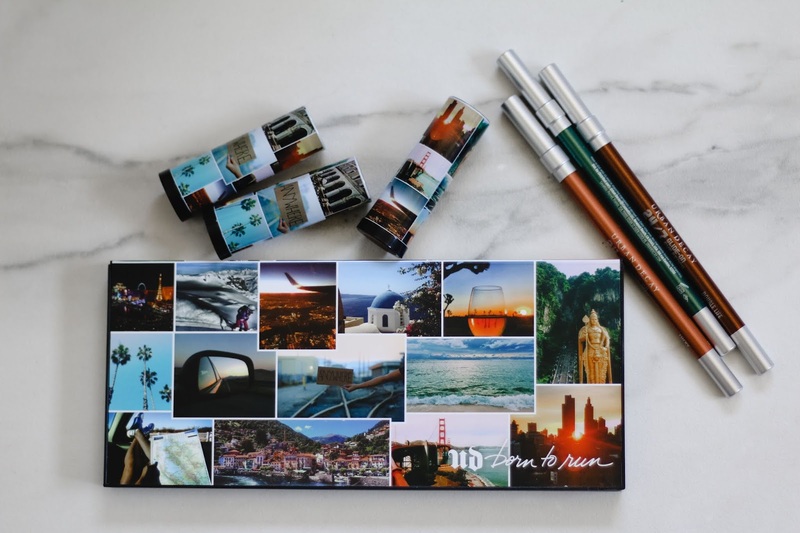 This palette was sent to me complimentary from Urban Decay. All opinions are 100% my own. This post does contain affiliate links, which means if you click on a link and purchase an item, I will receive a small percentage at no cost extra to you. Hey guys! It has been such a long time since I have sat down and wrote a blog post. I had just been in a really weird funk when it came to doing blog posts and I don't think I have addressed the elephant in the room here on my blog. You may have noticed that I changed my domain name from We Love Swatches to UP Mommy Life. I had been wanting to make a change for a long time now and I finally did it. Being a mom now I really don't have a main focus on beauty anymore. Don't get me wrong, I still love makeup and beauty products but I have fallen in love with a whole new world outside of beauty. Which is why I did a name change. I updated my Instagram, Twitter, Facebook page and my YouTube. Also, I will be uploading a lot more videos on my YouTube channel. I actually just upgraded to the Canon G7X Mark ii, so I am super excited to start doing more vlog style videos! 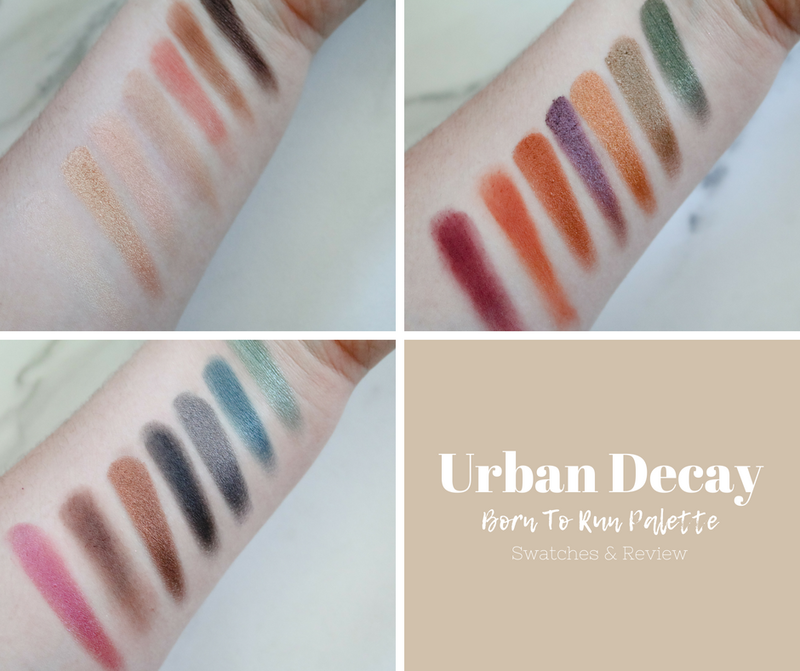 Anyways, lets get onto what this post is actually about and thats on the new Urban Decay Born To Run palette! Urban Decay sent me over the whole collection and I meant to do reviews on the other products, but while taking photos, my daughter made a mess in my beauty room so I didn't have time to finish. So this post will be dedicated to the palette. 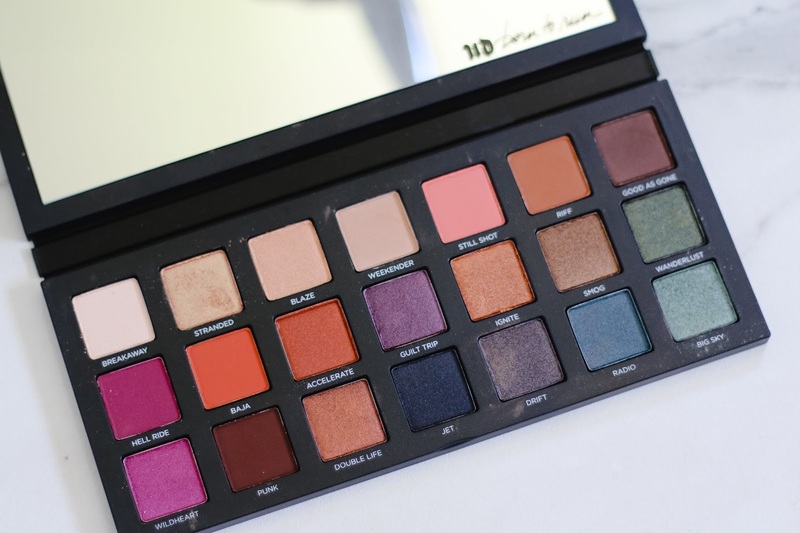 The Born To Run palette is probably one of my favorite palettes by Urban Decay (the original Naked palette will always be my first favorite). This palette contains 21 eyeshadows that have a mix of different finishes. And the best part? This palette is only $49.00. 21 good quailty eyeshadows for $49.00 is seriously such a steal. Let's go over all the shades that are in this palette. When it comes to the formula of the eyeshadows, I thought they were really good. Some of the mattes did feel a little drying and a little hard to blend, but they are very pigmented and a little product goes a long way. The shimmers and metallic shades are just incredible. They pack on so much pigment and look amazing on their own or even with a little bit of fix+. But overall, I thought the shades performed well. Some of my favorite shades in the palette are Weekender (perfect for the crease), Riff (another great crease shade), Ignite (love doing an orange look and putting this all over the lid) and Big Sky and Radio (perfect greens for all over the lid). This is seriously such a well rounded palette. It has enough matte shades to create a standard matte look or shades for the crease. And a lot of pretty shades to put all over the lid. You can create endless looks with this palette. And you honestly can't go wrong for the price and the quailty. 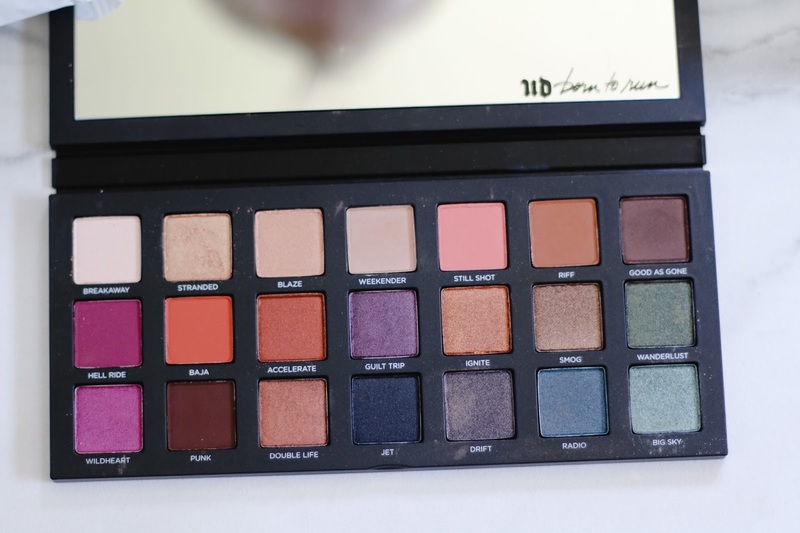 Urban Decay did such an amazing job with this palette. You can purchase this palette and the rest of the items from this collection right now at www.ulta.com.